The year is 1991, and arcade video games are the latest craze. Becoming a professional gamer is a far-fetched dream in an industry that has yet to spread its influence. Yet, that is the path sixth-grader Haruo Yaguchi wants to pursue. His aptitude for video games has earned him respect in local arcades and bestowed him with confidence and pride, both of which are shattered when fellow classmate Akira Oono easily defeats him in Street Fighter 2. In a sense, High Score Girl is something of an anime hodgepodge being a romantic-comedy at heart. Sure, on one hand you could look at it being the typical romcom as it follows the life of Haruo Yaguchi, a teenager that is endlessly obsessed with games and considers the arcade to be his domain and aiming to be a pro gamer. Without a doubt, I am sure during one point or another in this lifetime, we all knew or know a “Yaguchi”: an extremely passionate individual and putting forth their all into one pursuit, life never changing, and looking for a challenging. Of course, our game fanatic does eventually find a challenge and squarely schooled in Street Fighter (multiple times) by Akira Oono, his popular and affluent classmate of few words. She is everything Yaguchi is not and immediately comes to be at odds with her. Starting things off on shaky footing, the two eventually engage in an unconventional friendship/rivalry that spans the ages. Mixing the aforementioned romantic-comedy with elements of drama, slice-of-life, and coming-of-age components, the narrative follows the changing times as Yaguchi goes from a one-dimensional gaming addict to that serving a strong link between him Oono and something that draws other people toward him as result. The second main female of interest, Koharu Hidaka is a good example: an introverted girl that blossoms into social butterfly and develops her own gaming relationship with Yaguchi later in the series. Unlike Oono that never talks and only communicates through grunts, Hidaka has no problem speaking her mind and often leads to just as lively exchanges as it would with the terse Oono. 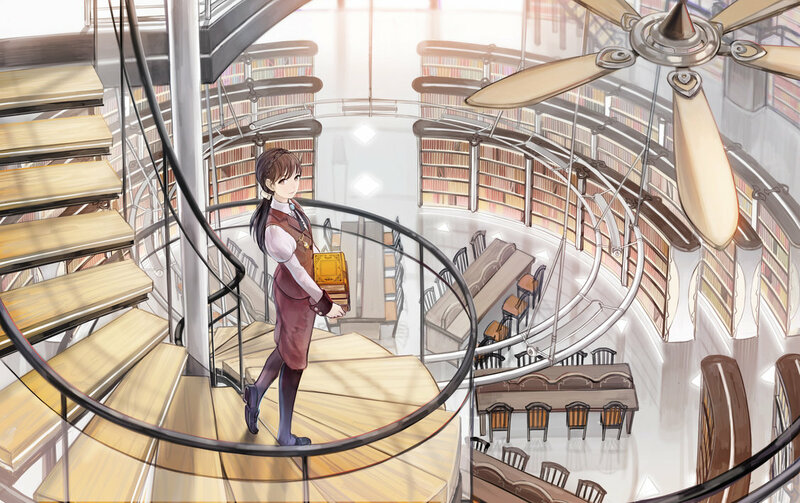 Seemingly, while the two ladies and Yaguchi in the middle would lead to an inevitable love triangle, the dynamics takes some time to build up in the series with our protagonist being the typical dense lead, Oono unaware of her own feelings, and Hidaka being forthcoming, but far too shy to admit her feelings. It is the common convention in the romantic playbook and the most uninteresting, yet the series manages to make it work thanks to the comedic elements periodically backing it up. That being said, while the three main characters are the primary focus, the supporting cast does a nice job of picking up most the comedic slack and always delight to see them enter a specific scene like Yaguchi’s mother. Leaving the genre and elements alone, the series also seems to be something of a culture commentary on gaming itself – containing many noteworthy franchises and names that show up as major plot devices or minor cameos. With the story starting off in 1991, the heyday of when gaming became popular, it does offer an interesting picture of how gaming was or was like. 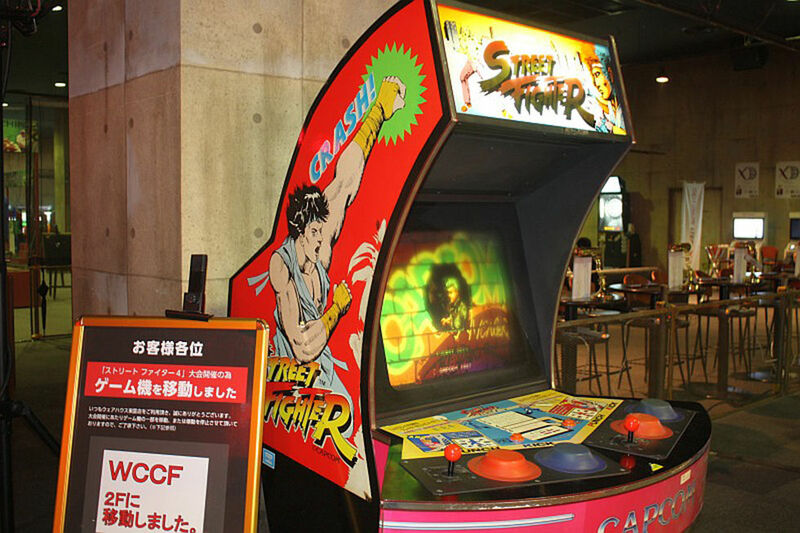 One my favorite scenes during the start of the series has Oono and Yaguchi visit a dilapidated arcade with the original Street Fighter cabinet that had over-sized buttons. Where the series does touch on a variety of games of all stripes as it moves the ages, most come down to a cursory footnote rather than detailed history. All the same, High Score Girl does make very clever use of it’s gaming knowledge and also distills it into some nice commentary. Another great piece from the series comes from Yaguchi in his primary school days considering if there was someway to make a career as pro gamer only find himself taking part in a Street Fighter tournament later in the series that mimics the infancy of e-sports. Yes, a very embarrassing MC doing a play-by-play of the matches is included. Being far from a budgeted production, High Score Girl has most of it’s animation done via CGI that actually isn’t too cheap or horrid looking. Character movement is more naturalistic, character models are highly expressive, and also a perfect compliment to the artwork used in the manga. With the series offered on Netflix’s (at the time of writing this), it also contains an English dub alongside the original subtitled version. Finding no great difference between the two, I will have to admit to enjoying the English version slightly more only to hear Johnny Yong Bosch as Yaguchi excitedly prattle about video games. With things ending off on the most eye-rolling of cliffhangers and tri-part OVA follow-up later in 2019 to conclude things, in spite of the weird narrative structure, High Score Girl is an actual agreeable series. Having lens of nostalgia cast over the subject matter, but an amalgamation of elements for everyone, both game enthusiasts and the average viewer can find something to latch onto and highly binge-worthy. My only hope is that the OVA series can provide the closure I seek, despite having a strong inkling of how things will go. Final Verdict: Bringing a lot of heart and nostalgia to the table, High Score Girl is a nice tribute to video games and also easily watchable series. While the format might be dizzying and the overall message hard to glean, both fans of gaming and those with a passing interest will find much to like with the romantic-comedy angle, yet finding far more comedy than anything else. Just beware of the dangling cliffhanger. Not sure about the CGI look but it sure does looks interesting. Also with the anime being set in 1991 and seeing that PS1 in that last screenshot does indeed brings back some memories, lol. This was a 2018 anime as well? Didn’t expect that, thought it was much older than that, lol. The show reference some really obscure titles, I have heard of before, but never seen, so it is a really series. Yeah, I do believe that they did try to slate this at first for like 2012 or so, but never happened. Definitely a 2018 production.